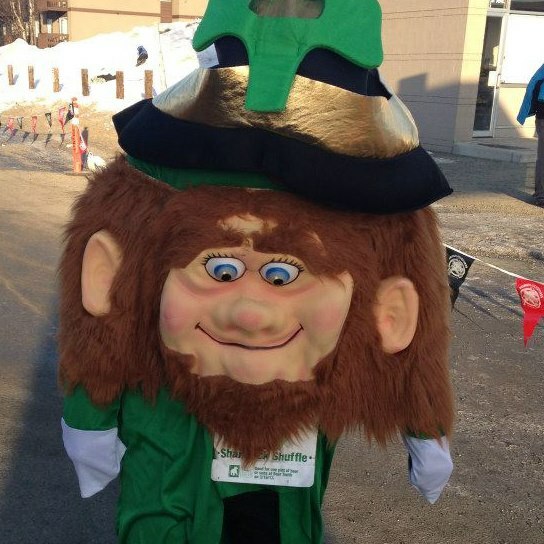 Matt and I ran in the Shamrock Shuffle on Saturday morning. 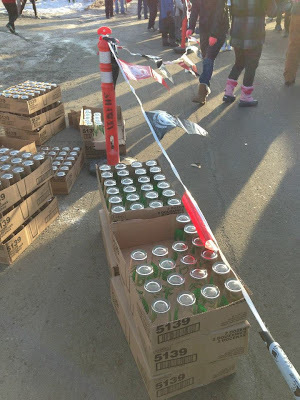 It was a brisk 9 degrees, but the sun was out and spirits were high. 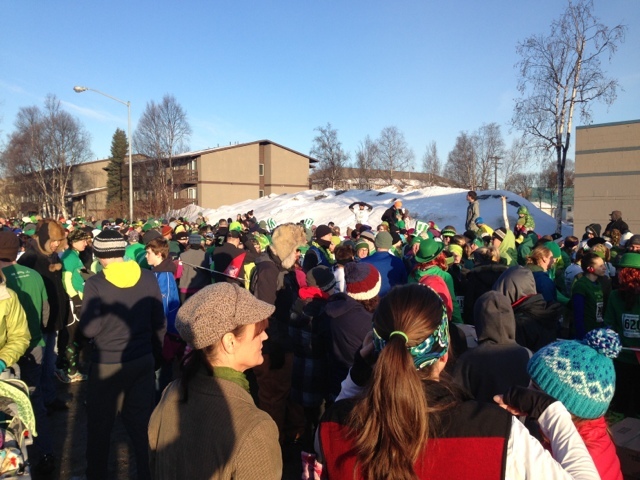 The race capped out at 1500 runners, so there were plenty of people decked out in green, kilts, dressed as leprechauns and wearing tutus to keep us entertained throughout the run. 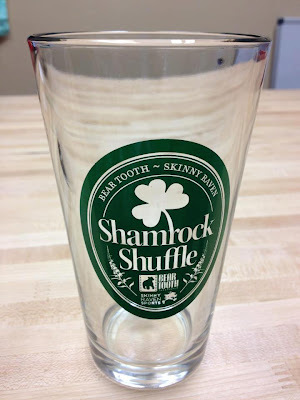 Upon finishing the run, our reward was a Shamrock Shuffle pint glass and free brew from Broken Tooth Brewing Company. 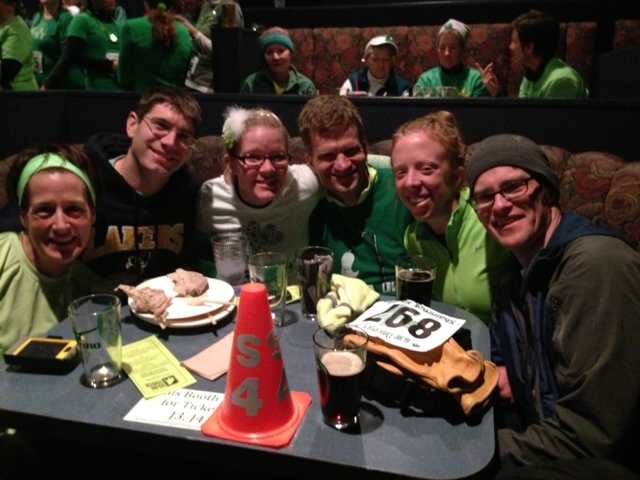 The race started and finished at the Bear Tooth Theatre Pub. Awards for top finishers and door prizes were announced in the theatre of the Bear Tooth. We met up with some friends who were already sitting at a table. 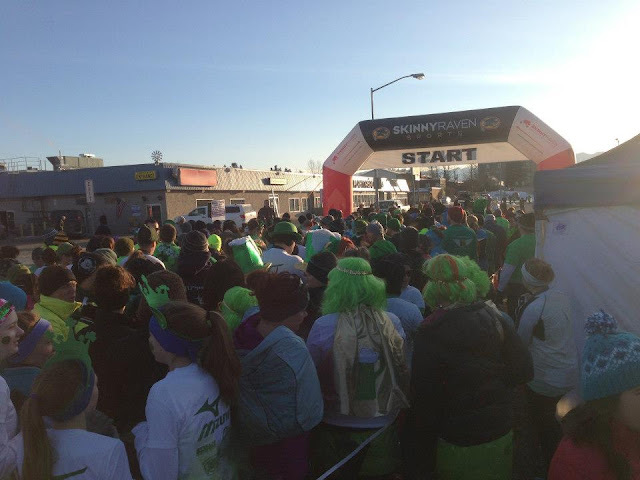 The Shamrock Shuffle was a fun event and an enjoyable and active way to celebrate St. Patrick's Day. hello! my name is Karen and this is my blog 3000milesNorth. this idea began as a way to share my adventures while i lived in alaska; it has since turned into an avenue to share my perspective on an active, healthy and adventurous life. i hope you enjoy!